Welcome to our student life! 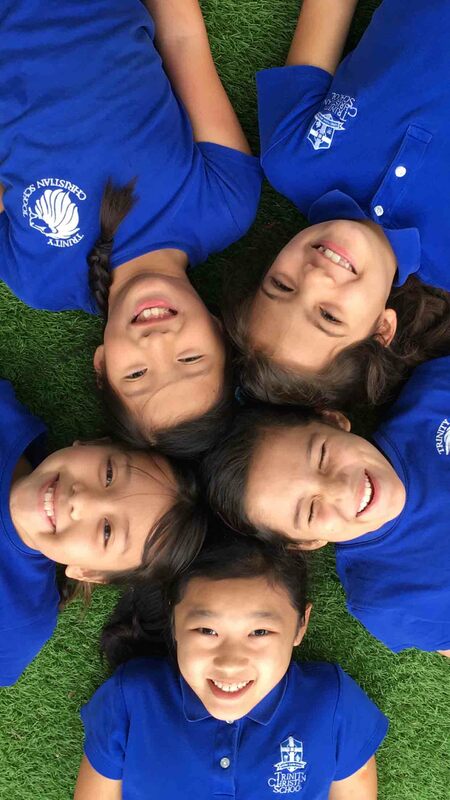 At TCS, we see our athletics, fine arts, and student events not just as ways to have fun but as opportunities to for students to grow intellectually, physically, spiritually, and socially. The Bible teaches that even as a child, Jesus grew in wisdom (intellectually), in stature (physically), in favor with God (spiritually) and man (socially). We want our students to grow in all of these ways. We put a special emphasis on the spiritual development of students as they embrace the Gospel. At TCS, student life seeks the highest standard in all facets of life: applying God’s truth to everyday decisions, a rigorous academic program, training in physical endeavors, and emulating what is beautiful in music, art, and drama. Athletics at Trinity Christian School for grades 4-6 includes girls’ and boys’ teams in volleyball and basketball, and girls' and boys' teams in volleyball, basketball, soccer, and cross country for grades 7-12. Physical education is a required part of the curriculum for all students PK-10. Other athletic opportunities are available as after school sports JK-6. We also host an annual biathlon, which is open to all students in grades 4-12. Fine Arts include music, art, speech & debate, and drama. All students PK-12 take music and art, while drama is an elective. The Fine Arts Night each spring celebrates excellence in these areas. Our Upper School electives include drama, art, debate, speech, yearbook/journalism, choir, and music theory.